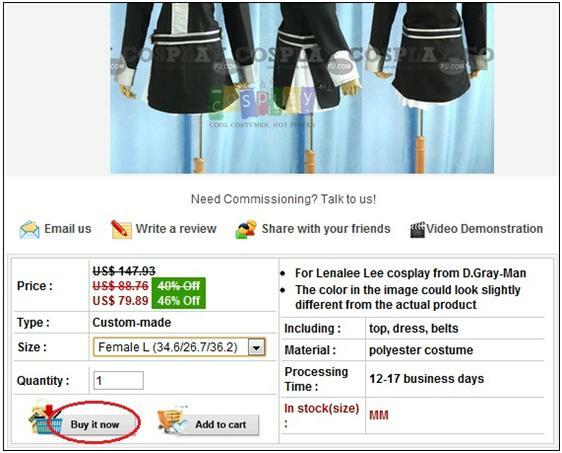 Choose your favorite costume, select size and click ‘Buy it now’. 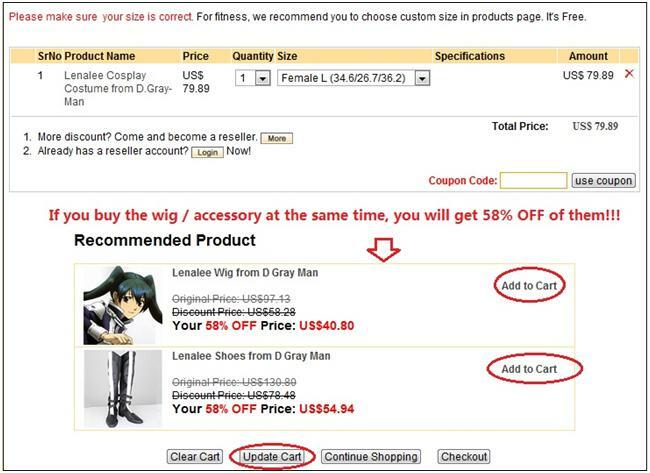 If you buy the wig / accessory at the same time, you will get 58% OFF of them immediately! 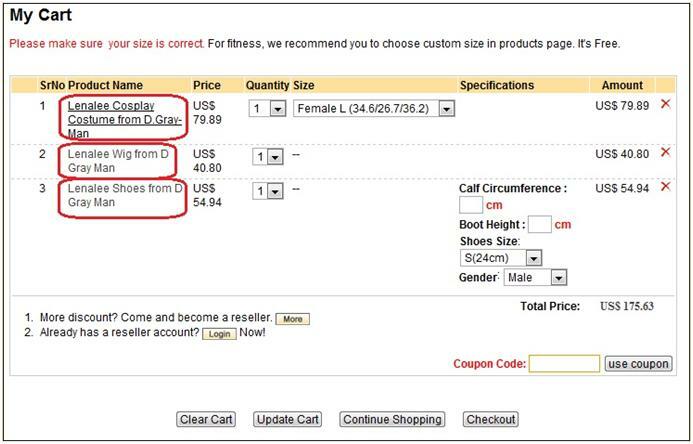 Just click ‘Add to Cart’ if you’d like to order it, and click ‘Update Cart’. 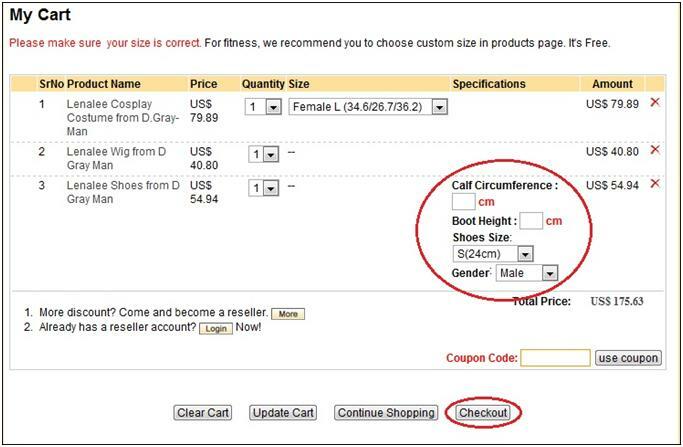 Input the size you want and click ‘Checkout’, then, you can proceed it as normal orders.